Welcome to Cameron Dental and Cameron Dental Westpark - Same Faces, Two Places!! Drs. Jason and Tammy Cameron and Dr. Hailey Hutton invite you to engage in the Cameron Dental experience. We are married, have two little boys and live in Fort Saskatchewan. Dr. Jason grew up here! We all wish to change the perception people have of dentists, we love our job and we want to make this easy for you! Located in Fort Saskatchewan, our goal is to provide health and happiness in a uniquely comfortable dental environment. Whether it's grabbing a coffee on your way in, a friendly conversation or relaxing in our heat and massage dental chairs, you are a priority to us at Cameron Dental. Our staff is knowledgeable, considerate and local to the Fort Saskatchewan area. 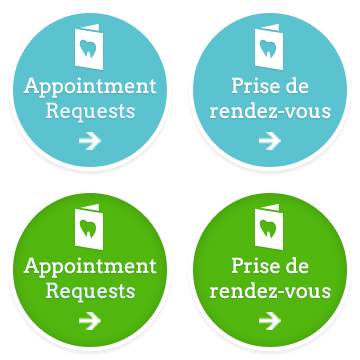 We want to make each dental appointment an enjoyable and informative experience for you and your family. Employing the very latest in digital dental technology, we are able to allow you to make informed decisions on your mouths health, leaving our clinic feeling educated and satisfied. Our commitment to you is to create health and happiness, not only for our patients but for ourselves and our staff. As of Jan 1 2018, Hi all!! There's been a lot of discussion about the Alberta Dental Fee Guide that was implemented Jan 2018. This was issued by our government as a hope to increase the access to dental care. It is not a mandatory change more a recommendation as dentists are able to set their own fees. Most insurance companies have decided to change how much they are willing to cover based on this new guide. As of Jan 1, 2018 we have decided to follow the new fee guide. If you have questions about fees, procedures, insurance coverage we will always try our best to get those answers for you. Don't be afraid to ask us! !